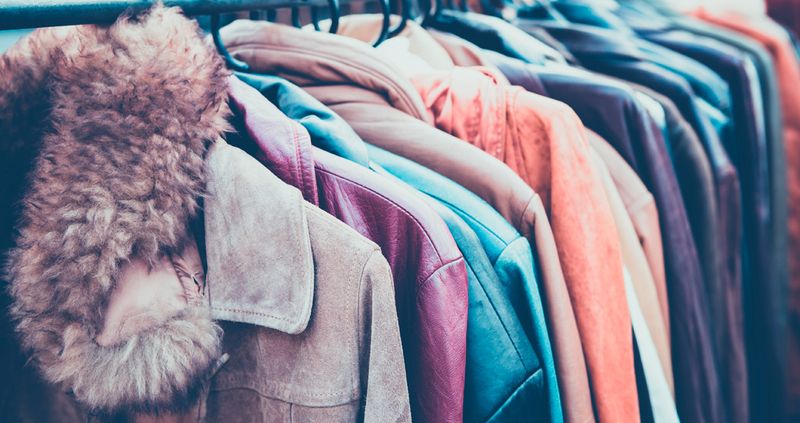 homeless – those in temporary accommodation, community housing and crisis refuges. Homelessness is a confronting and complex issue. 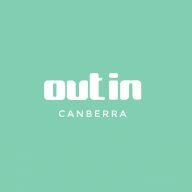 The harsh Canberra winters make life even harder for those who are isolated and vulnerable. 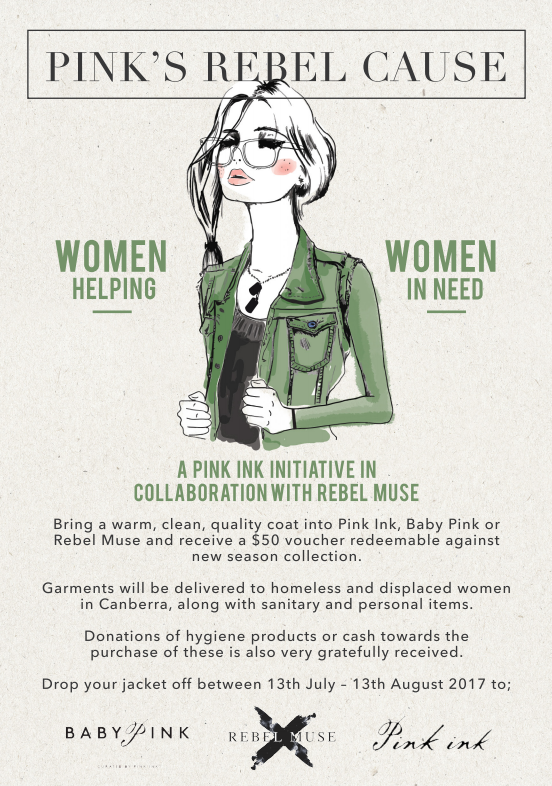 Braddon’s Pink Ink and Rebel Muse have collaborated to create Pink’s Rebel Cause, a social initiative which aims to provide some warmth and comfort to these women. 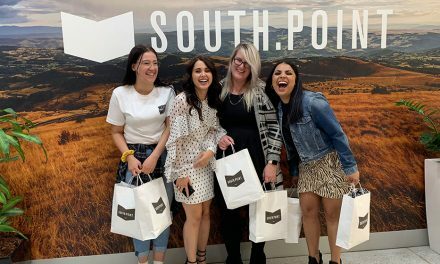 The idea is simple: The fashion boutiques are asking its clients, business networks and the broader women’s community to donate a warm, clean and quality coat. These will be delivered to women in need via established social services, with each garment’s pockets filled with feminine hygiene products. 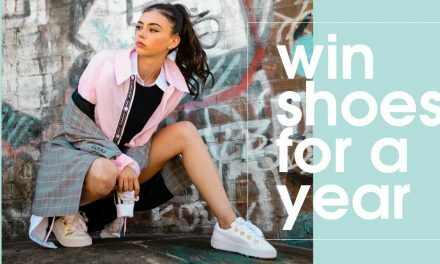 Better yet, for every coat donated, Pink Ink and Rebel Muse will exchange a $50 voucher that’s redeemable against new season collections. Donations of hygiene products or cash towards the purchase of these are also very gratefully received.